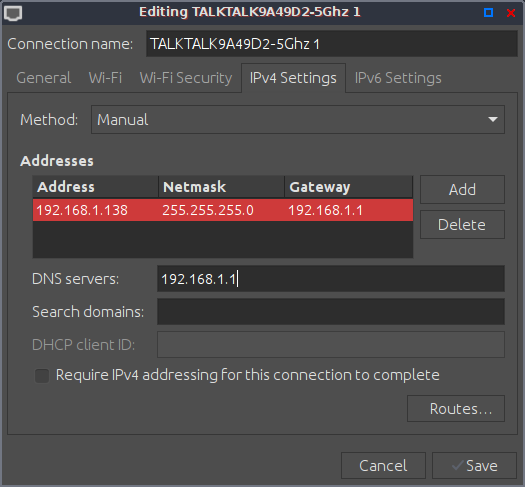 Has anyone tried setting a static ip in Network Manager ? I'm asking because I'm finding it impossible, NM is so screwed up it's impossible to describe what's happening, the best way would be to try it for yourself, and assuming your getting the same as me you'll see instantly what I mean, if not then I've got some serious issue with my network as this the second installation of PM8 this is happening with. What is the exact problem you are having because it works for me ? The first thing I do, on any new install, is purge NM and replace it with WiCD. Have you tried widening the window ? 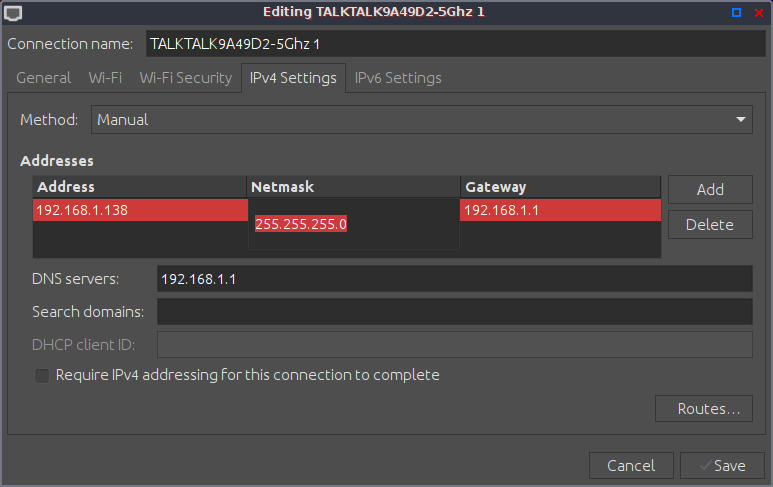 I kinda get what you're saying and widening the window helps .. with a wider window when you click just below the word "Netmask" and "Gateway" the entry doesn't jump about as much. It's almost as if the NM window SHOULD be wider by default .. luckily once you've widened the window it seems to remember it when you open it again .. I'll see if I can find where that width is remembered and if it'll be possible to change its default width via an update. I wonder if the gtk theme you're using has anything to do with it .. have you tried using a different theme and/or widening the window ? Yeah I was just wondering if there was a way I could set it to open wider by default in the respin (or via an update). Don't feel foolish, I'd been kinda struggling along with its default size too until you prompted me to look at it a bit harder.